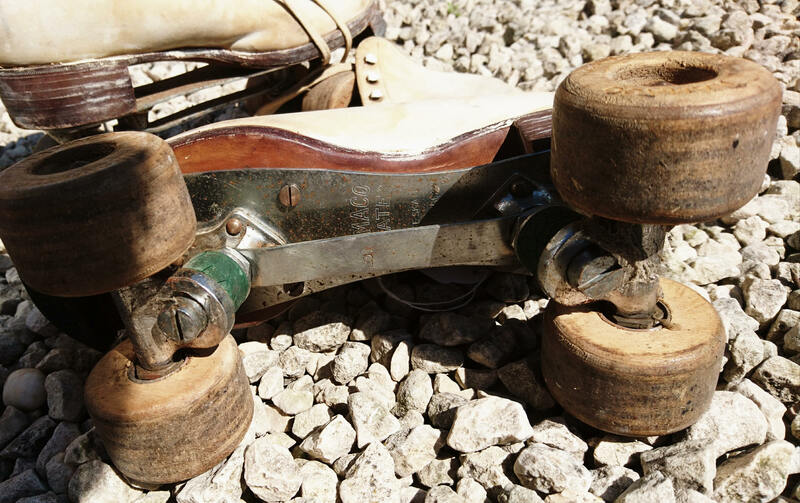 Absolutely amazing is the only way to describe these fabulous 1940's Hamaco rollerskates. 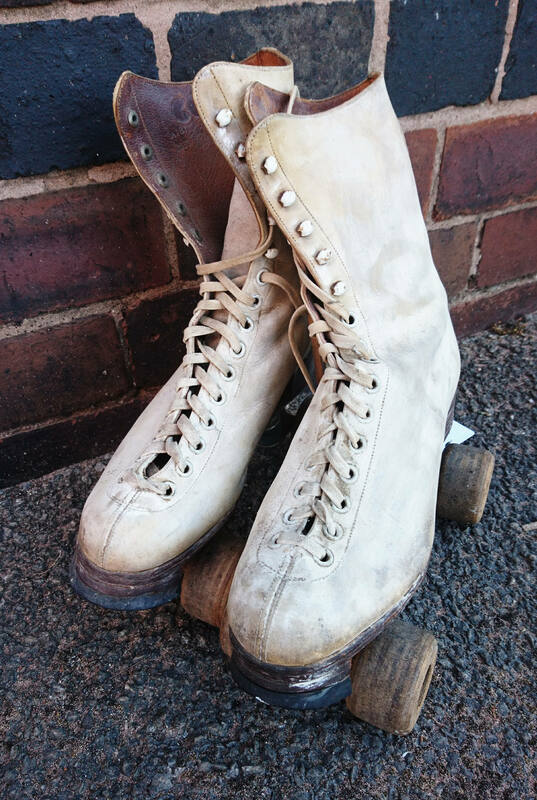 Made in England in the 40's these dance skates are made from a very strong white leather, a heavy metal chassis and amazing vintage wooden wheels. 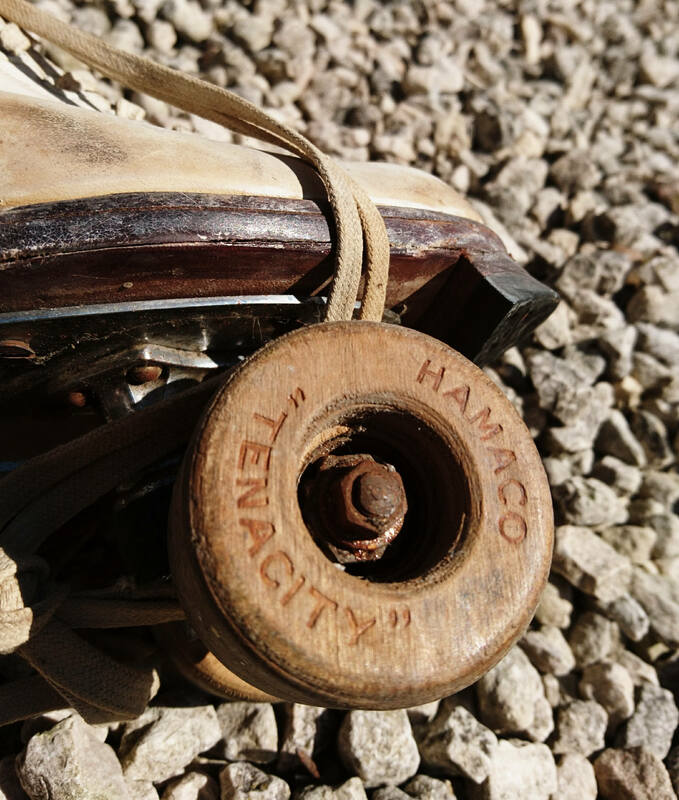 The Hamaco brand is etched into the wheels and on the chassis, they also bear the CC41 British wartime austerity mark of compliance. 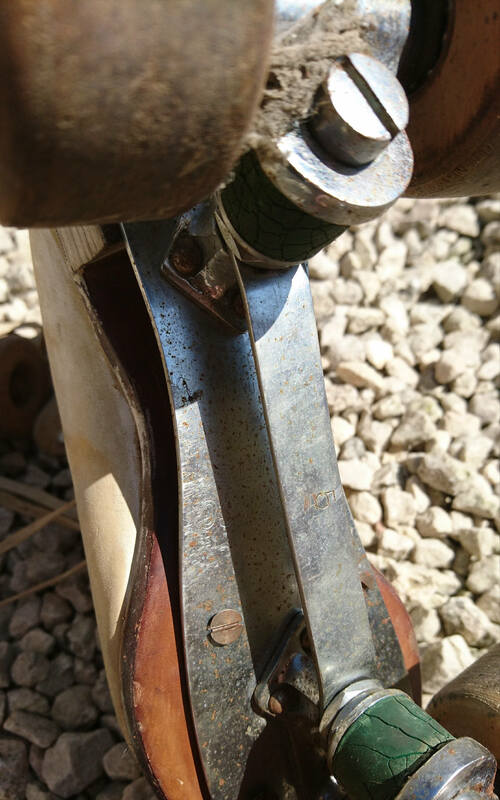 They are super strong and exceptionally heavy, they will need to be dispatched via a premium service due to the sheer weight of them. 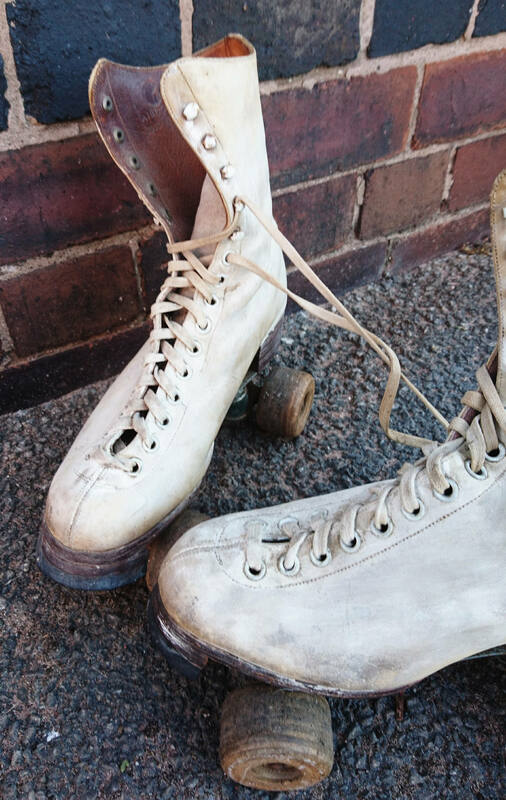 They show signs of use and of age and the white leather is no longer as white as it once was though they could be cleaned up lovely. 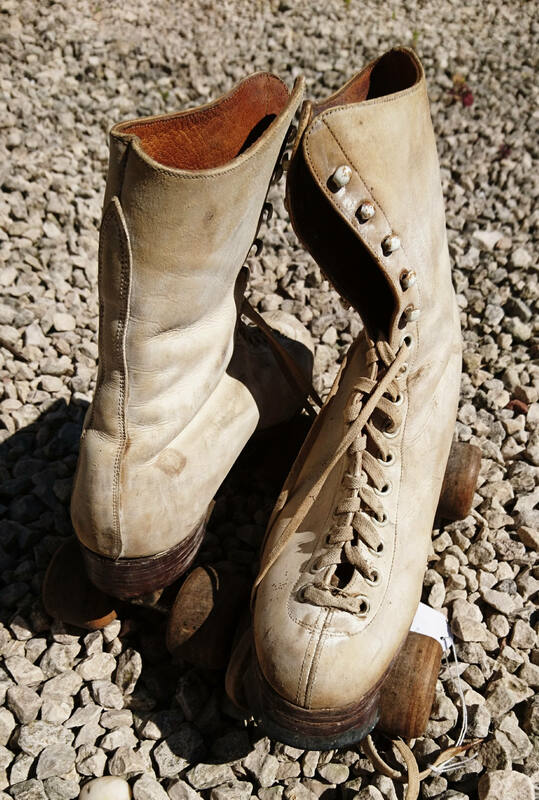 They are still completely usable and in great vintage condition, the craftsmanship that has gone into these is incredible. 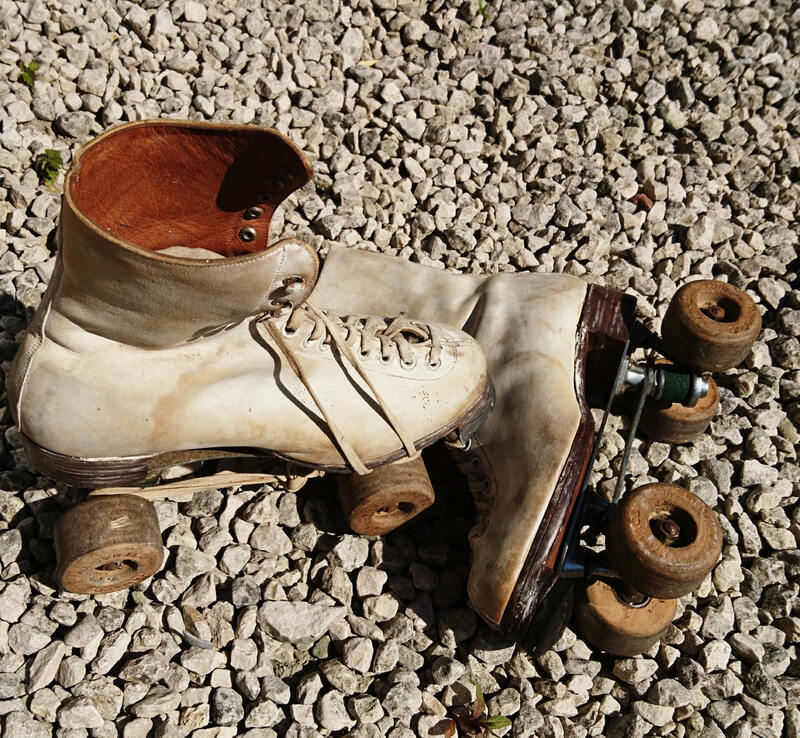 These skates are really heavy, well over 2kg so will need to be shipped worldwide using Parcelforce, the cost is fixed but we do refund the difference if there is one.